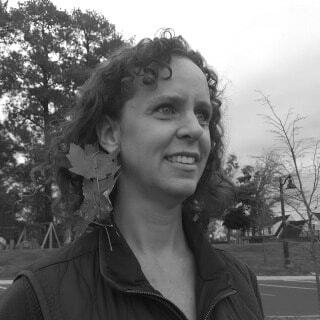 The following is a guest post by Michelle Van Doren of Seeking Joyful Simplicity. Exhausted, overwhelmed, frustrated, and cranky. This wasn’t how I imagined parenting to be. What was wrong with me, and why couldn’t I just get it together? I suspect chaos, overwhelm, and a sense of failure are a normal part of running a household and parenting young children. As moms, we are expected to do it all and do it well. Our days can pass in a blur as we struggle to manage our home, attend to the never-ending needs of our children, and find the time to recharge ourselves. Over time this becomes discouraging, and it wears us down. But there is a way to create a more peaceful and productive home, and that is through discovering a family rhythm. Juggling part-time work, a fussy toddler who never slept, and homeschooling my older two children taught me a lot about limits. I struggled to balance the demands of my family’s needs, my career, volunteering at homeschool co-op, and the self-imposed and impossibly high standards I placed on myself. My life felt out of control, and I tried to tame the daily chaos and squeeze everything in by using a schedule. Sometimes the schedules helped, but most often I over-estimated how much I could accomplish and ended up feeling like a failure. But then I discovered something. Instead of rushing everyone through the day, trying to check things off the over-full schedule, I realized our best days, the days that flowed with peace, joy, and yes, even productivity, seemed to have certain things in common. Gradually, through trial and error, I discovered the value of working with a natural family rhythm. Rhythms are the daily, weekly, seasonal, and yearly activities that we consciously choose with intention and carry out with love. We all benefit from the flow of daily and seasonal rhythms. There will always be things that need to be done as we care for our families and our homes. Discovering a family rhythm in our lives, one that follows the seasons and supports us rather than hinders us, can help our days flow smoothly with a healthy balance of work, rest, and play. A supportive daily rhythm flows naturally with the seasons. There is a huge difference between living according to a schedule, and living with the fluid grace of a rhythm. Rhythm is very different from a schedule – rhythm supports our physical, emotional, and spiritual needs. Schedules dictate. Rhythms flow and breath, schedules are tight and strict. A good rhythm should feel natural, like breathing. When we breathe in, we are gathering our resources, recharging our energy, and engaging in quieter activities such as reading a book, sharing a meal at the family table, or walking in nature. When we breathe out, we are expending both mental and physical energy through work, social activities, and learning new things. To be whole and healthy, we need a balance of both the in and out breaths. And this balance will look different for each family. Some families thrive on activity and plenty of social activities. Other families will need more quiet time to feel contented. Children thrive on a predictable, steady routine. Especially younger children, rhythms help them move through their days with consistent times for active play, eating, and times for rest and sleep. Smoother transitions. Transitions can be a challenge for any child. A daily rhythm can help our young ones transition more easily. 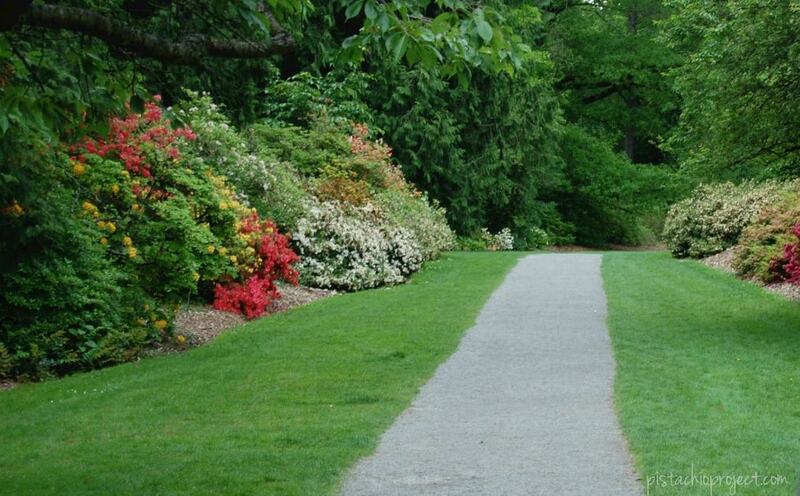 Rhythms support our natural need for alternating times of activity and rest. This can be just as beneficial for us parents as we consciously bring periods of quieter activities that nurture us as well as our children. Living mindfully and being fully present with our family. Because rhythms are fluid, we can let go and focus on each moment. Rhythms flow, and because activities happen “about the same time” each day, rather than on a tight schedule, we enjoy more peace. Being mindful of how we spend our time and the daily shifts in energy in our home can help us create a nurturing routine. 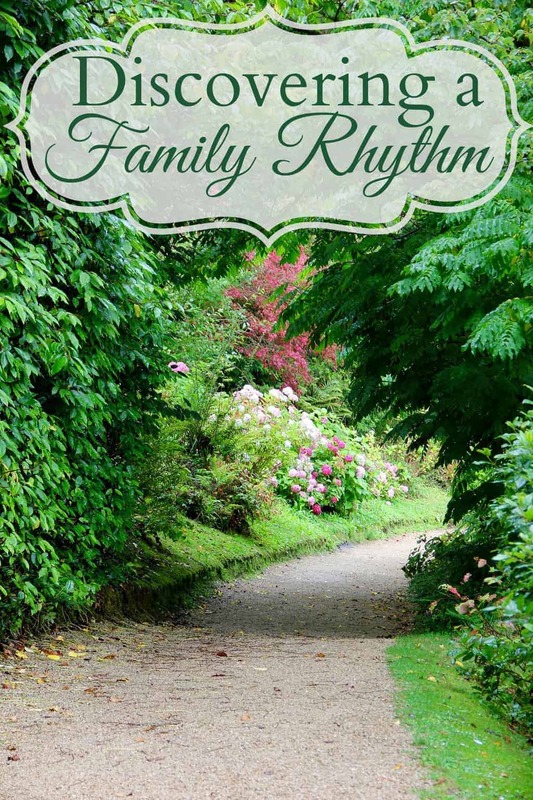 Here are a few thoughts to consider while you are discovering a family rhythm. What do you want to emphasize in your family life? Shared meals at a family table with flowers and candles to mark meal time as special? Plenty of time in nature? Being an active part of a community? Family reading time? Prayer time? Make sure to include time for what is most important in your daily and seasonal rhythms. What do you need to do so your home operates the way you want it to? Letting go of impossibly high standards, such as a house that is always picked up, laundry washed and put away, sink free of dirty dishes, etc. can help you let go and focus your energy on what is truly important, as identified in question one. What are your favorite ways to recharge? Be sure to include time for taking care of yourself. You are the center of the family wheel, and if you don’t take care of yourself, you won’t be giving your best to the family. What things have to happen every day? Make these the punctuation marks for your day. Generally, this includes meals, bath times, but can include the important things like prayer or snuggling with a book. Leave plenty of open space. Identifying and working around your priorities will help you focus on the main points of your daily rhythm. Be sure to leave open space, instead of trying to cram too much into one day. Surrender when needed. Even with a good rhythm established, there will be days where nothing goes the way you expect or want it to. The baby is fussy, the dog vomited on the new carpet, and the dishwasher quit. Let it go and do the best you can. Be kind to yourself. Parenting is tough. Take a moment each day to give yourself credit for all you do, and forgive yourself for not being perfect. Tomorrow is another day. Focusing on our family values, we can discover and create a family rhythm that supports a relaxed home. Unlike a schedule, rhythms are grounding and have a gentle flow to them, and include time for the work that needs to be done and the rest and play so essential to healthy living. 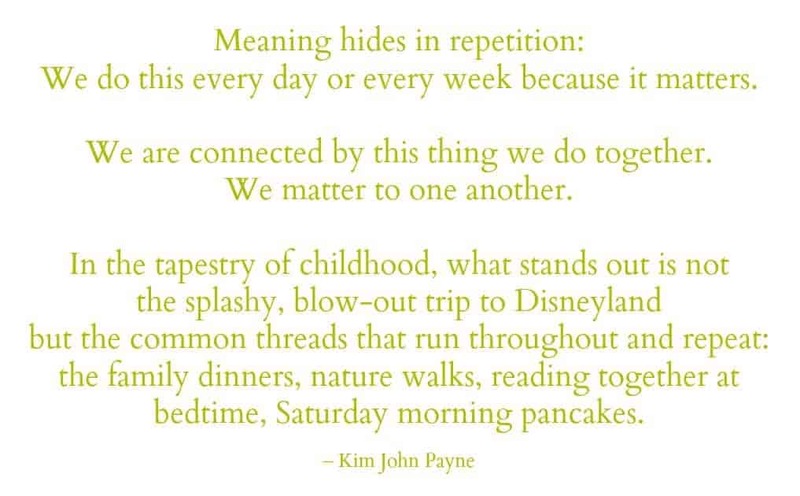 We create these rhythms for our children, but the rhythms help keep us grounded and fully present through our days and the seasons. We are setting the pattern for our children’s future. Michelle writes about creating a homestead, cooking with whole foods, making and using herbal medicines, family life, and living with intention. You can visit her at Seeking Joyful Simplicity. Wonderfully helpful and encouraging post for weary moms! Enjoyed these reminders. I was looking up ways to establish rhythms to make things flow easily with taking up much mental space and this offered some nuggets. Thanks.